Here are the latest and greatest vaporizers Atmos RX brand has to offer! 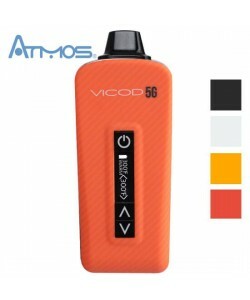 Atmos has been redefining the industry by of true and powerful herbal vaporizers. Ruva, Aegis and Pillar models are uniquely designed with optimal heating methods to ensure performance and ease of use. All of these vapes are subject to rigorous quality control standards and come with a 5 year warranty program, offering a sense of security. Each model is designed to optimize convenience, so you can feel comfortable using their products wherever you go. The Atmos Ruva is a conduction heating, dry herb vaporizer that is compact and simple to carry around. Encased in a heat-resistant, sturdy rubberized finish, the Ruva is easy to hold and simple to refill due to its magnetic mouthpiece. Its 1800 mAh lithium-ion battery is ultra long-lasting to power its high quality embedded quartz heating chamber for many sessions without a recharge. Heat the Ruva Vaporizer heating chamber to any temperature between 330 to 430 degrees Fahrenheit quickly using the precise temperature control features on its OLED screen, it will vibrate when it's ready to be vaped. This efficient dry herb vape can become your new favorite traveling companion. With the Atmos Ruva, there is a rubberized finish that makes gripping it easy and ensures it won't slip out of your hand. This also stops any heat from escaping the pure quartz, conduction-based heating element and makes the Ruva comfortable to hold or carry in your pocket. 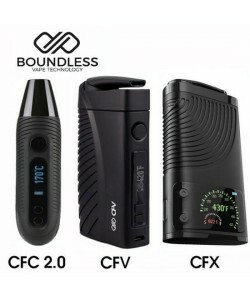 There are also ridges that help you grip the device, furthering its portability and giving the Ruva vaporizer a unique appearance. The mouthpiece of the Atmos Ruva is attached with two magnets. The magnets hold it firmly to the unit while you're using it, but also make it super simple and quick to remove, which makes loading the quartz chamber a breeze when time comes. Having easy access to the coil means that cleaning takes no time at all, making your vaporizer last longer. Even though the Atmos Ruva is small and compact, it comes with an OLED display heating progress bar. It also tells you your herbal vaporizer's temperature and what you have it set to. The temperatures range from 330 to 430 degrees Fahrenheit. There is a memory feature so the device begins to automatically heat up to that last temperature for your convenience. There is also vibration feedback to tell you when the unit has heated completely, and when you turn it on. If you want, you can even change the temperature from Fahrenheit to Celsius by clicking the plus and minus buttons at the same time. Finally, the Ruva uses a powerful 1800 mAh lithium-ion battery that can be charged using any standard USB charger. The Ruva by Atmos is an excellent portable vaporizer as it heats up quickly, vibrates in your pocket when it's ready to use, is simple to load with its magnetic mouthpiece, and features a clear and easy to read OLED screen. This is a great vaporizer if you need easy access to vaping while out and about. All Atmos products come with a five-year limited warranty on units that come from us, an authorized dealers. Load the dry herb material into the quartz heating element. Press the power button 5 times in succession. Set the temperature using the buttons and the OLED display. Wait until it vibrates to signal it is ready to use. Named after the Aegis shield carried by Athena and Zeus in the epic poem "The Iliad" the Aegis Vaporizer by Atmos is a robust herbal convection vaporizer that is as strong as its name suggests. The concept of doing anything under "someone's aegis" means participating in something with the protection of some powerful and wise source of good, and by vaping with the Aegis that is precisely what you are doing. The Aegis Kit by Atmos comes with everything you need to start vaping right away, including a charger, a cleaning brush, and a packing tool. The lightweight vaporizer was designed with efficiency of use and your convenience in mind. It has a silicon filter unique to this vape, one that stops particles from getting into the mouthpiece while also letting pure vapor pass through. Cleaning is simple thanks to the silicon, making it faster and more efficient than typical metal filters. Since it is a convection vaporizer, there is also no risk of combustion. The Aegis is very portable and compact, measuring only 5 inches in height. It comes with advanced temperature controls that allow you to set the temperature anywhere between 320 and 430 degrees Fahrenheit, which is the perfect spectrum for a quality vape. This device can reach your desired temperature in a matter of seconds. An impressive 1650mAh lithium-ion battery powers the Aegis, and its LED screen showcases the active temperature setting along with the remaining battery life. The mouthpiece of this great vaporizer provides easy and fast access to the chamber for swift refilling and cleaning. 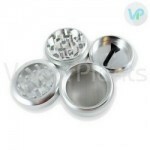 It also features an isolated airflow path that optimizes the flavor and vapor quality. As is standard with other Atmos products, the Aegis Vaporizer comes complete with a five-year limited warranty. Listed below are the simple steps concerning how to use your Atmos Aegis dry herb vaporizer the right way. Grind your dry herb material down finely. You want to be sure that you are exposing as much of the surface area of the herb to the hot air as possible, so this is important. Twist off the mouthpiece of the Aegis and set it aside. Using the packing tool, load the material into the chamber, filling it about halfway to give it plenty of airflow. Be sure that you pack it in securely, but not so tight that the hot air cannot move through the herb efficiently. Twist the mouthpiece back into place. Click the power button three times to turn it on. Select your preferred temperature by clicking the button until the LED display registers the desired temperature setting. The Aegis is a powerful new herbal vaporizer from Atmos that is ergonomic and ready to be carried with you wherever you go. Its strong battery and ability to be charged universally by way of USB means that this is one of the best choices you can make for an on-the-go vape. The sleek, bold Aegis convection vaporizer promises to prevent combustion, which saves you time and money all at once. It is efficient, compact, and powerful and will provide you with years of enjoyable, efficient vaping. The Atmos RX Tyga x Shine Pillar is a portable dry herb and wax vaporizer that utilizes a powerful 1300 mAh battery to power long vaping sessions. This vaporizer features a deep dish, pure ceramic heating chamber and an advanced airflow system that allows for smooth vapor and clean, tasty clouds. The large ceramic chamber helps extend your sessions by allowing you to pack more material into the chamber at once. 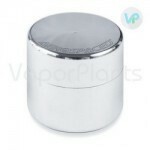 This also makes the Atmos Pillar perfect for vaping on the go. If you like wax, you'll love that the Atmos Tyga x Shine Pillar comes with a titanium wax cup to easily switch to concentrates by simply dropping the cup into the chamber. The Tyga x Shine Pillar is a lightweight device, especially when you compare it to other portables. Even though it is small, it is durable and feels great in the hand thanks to its scratch-resistant, hard anodized body with ribs that provide a better grip and more comfort. It has a wide mouthpiece that adds more airflow and can be removed with ease to access the heating element. It fits excellently, securely, and comfortably in both the pocket and the palm, making it a wonderful vaporizer for taking with you around town or on your travels. The AtmosRX Tyga x Shine Pillar also offers six optimized vaping temperatures that are perfect for any style of vaping. Simply press the button once to cycle through the preset temperatures until you find your favorite. The Pillar has taken the struggle out of guessing which temperature is best for you by offering only the most popular heat settings in the vaping community to ensure pure, flavorful draws. There is also a blue LED light display that shows you which temperature setting you have picked, as well as whether or not the Tyga x Shine Pillar by Atmos is currently on or off. It heats up swiftly, allowing you to vape quickly anytime, anywhere. Pillar lasts a really long time - Review by Grace J. The Atmos Pillar lasts for a really long time so it is my go-to choice for taking with me when I leave the house. While it tastes great, it doesn’t give off a lot of aroma so I feel confident when I choose to use it in a public place. Simple and easy use - Review by Isabel B. The only thing that I have to complain about with the Atmos Aegis is the fact that it takes a lot of time to charge. Not only that, it seems to need to be charged often. Other than that, it is simple to use and easy to understand. Never going back to smoking - Review by Carol W.
The Atmos Pillar is my very first vaporizer and once I figured out how to use it, I decided that I will never go back to smoking again. Ruva is so portable - Review by Bradley A.
I love that the Atmos Ruva is so portable. I can take it anywhere and it never lets me down. Impressed - Review by Karen A.
I am definitely impressed with the Atmos Pillar. Doesn't smell much - Review by Emilio L.
Pillar vape gives great flavor and doesn't smell very much, making it great for taking with me on the go. Best vape - Review by John M.
Aegis vaporizer is the best vape available on the market today, especially considering the price that I paid for it. It is definitely my new favorite vaporizer with its sleek design and powerful performance. Ready vape - Review by Sherry M.
Atmos Pillar is always ready to vape when I am, which is awesome. Worth every penny - Review by Michael A.
I was worried about paying what I paid for it, but I am definitely thinking it was worth every penny. 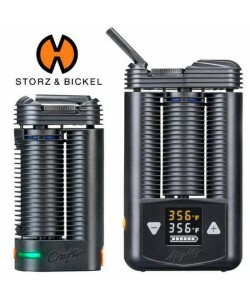 This vaporizer is great with its quick heat up time and it doesn't take long to charge. Simple cleaning - Review by Jeanette T.
Cleaning Aegis is also simple. Exceeded expectations - Review by Gerald M.
The Atmos Ruva has really impressed me. I wasn't sure what I was expecting from this vaporizer, but it has definitely exceeded what I thought it might be. This is the best portable vaporizer I have tried so far. Vapor quality is great - Review by Aaron J. 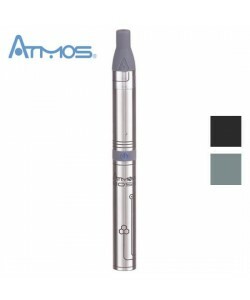 The Atmos Pillar vapor quality is great; the vapor is rich and smooth and there is very little draw resistance. It seems to hold a lot more than I expected it would as well. Simple vape - Review by Albert L.
I have never had an Atmos product that I have not enjoyed. The Atmos Ruva is really easy to use and highly portable. Notable clouds - Review by Arthur F.
The clouds that Ruva produces are also notable. Works great! - Review by Shela D.
I think Aegis vape is a great vaporizer for beginners although if you have never vaped before it does take a bit of getting used to before it all makes sense. Great product - Review by Leon J. This is a great product. I love Atmos Aegis because it is powerful and offers a tasty, smooth hit every time. Mouthpiece gets warm - Review by Charles E.
The only gripe that I have about the Atmos Aegis is the fact that its mouthpiece gets pretty warm quickly, but other than that, I recommend it to everyone. Lightweight - Review by Russell M.
Pillar vaporizer is really lightweight, but even though it is light, it is still really durable. Happy with Aegis - Review by Teresa M.
I have never used a vaporizer before so I was nervous about trying this out. After reading all of the reviews, though, I decided to give Atmos Aegis a shot, and am so glad I did. Easy to use - Review by Katherine F.
I love how easy Atmos Ruva is to use and how easy it is to clean. If you decide to go with one of the Vaporizers from company called Atmos RX, go either with the RUVA. This brand has been out for a while and they were few of the ones who started the whole vaporizer trend. I have gotten myself RUVA kit, and I enjoy it. A great addition to my collection of vapes and the main reason I have gotten this one is because it looks like nothing else out there, a truly original design. I believe the rating I have given here is fair for this unit. Hope this review helps. After reading a lot of reviews for vaporizer, I bough Aegis as a gift for my brother, and he loved it. At first you get a different feel, but this disappears after a few uses. I was afraid it will overheat and burn the herbs, but this didn’t happen.